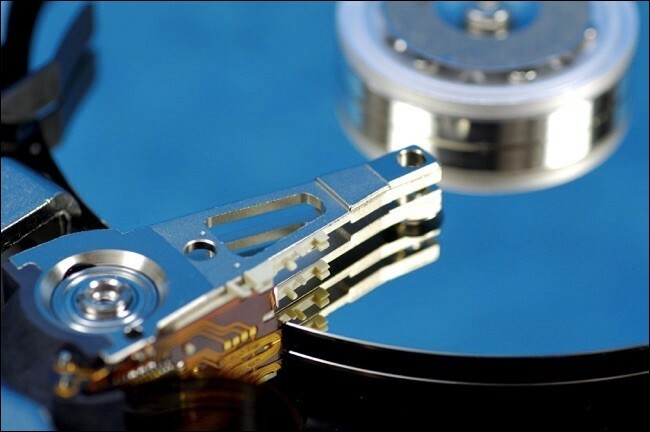 Have you ever formatted an external or internal hard drive? 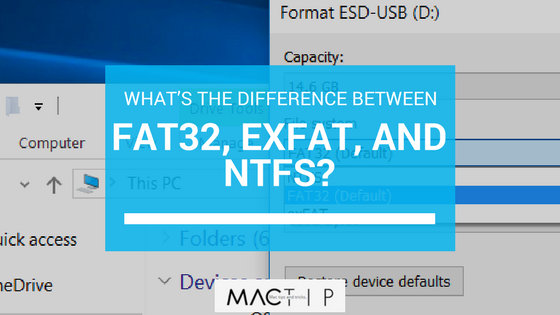 Well, if you have, then you have most likely seen these three codes; FAT32, exFAT, and NTFS. What are these? Well, they are the three different file systems that Windows gives you. They are not explained when you first see them, so I am sure some may wonder what exactly the difference is between the three of them. Well, if you ever did, then I would continue reading this article. Here I will explain what they are and what makes each one different for anyone that may wonder. Hopefully you will find something interesting here or finally understand what exactly you are doing when you are formatting your hard drive. I will explain what a file system is and how it affects the formatting you will do. Firstly, What Is a File System? Before I explain what each file system is, I would like to explain what, exactly, is a file system. I know that I originally was confused as to what exactly a file system was, so I would like to clear that up for others. Understanding what a file system is before you try to change them is highly important. The file systems all do different things and some are better than others. A file system is what organizes any hard drive, external or internal. The file systems are found under the “partitions” * and are what organizes the files that are on the storage system. It is what also stores information about those files, such as; file name, size, and more. It also creates a sort of index so that the storage system can be scanned faster to find files, rather than having to sort through every single one individually. See, without these filing systems, the storage device would be a mess of random files. The systems allow for the files to be organized, as if they are put into cubbies. Think of it as a set of cubbies; the file system is the whole piece of cubbies, with the files being sorted into the cubbies based on attributes. It can also be seen as a physical filing system, with folders and paper. FAT32 is a rather old file system, so it is not as efficient as the most modern, which is NTFS. exFAT is the modernized version of FAT32 and is used the most out of all three, though it is not as well-known as its predecessor. NTFS is the default system on many storage systems, and it is used by Windows, due to the fact that it is the most modern of the three. The FAT32, File Allocation Table 32, is the first of the three file systems to be created and used. It is the oldest and is therefore the least efficient out of them all. It is less modernized and some features were created after it was already in use, so it is not used as much now. To try to maintain the FAT32 legacy, a more modern version was created that was called the exFAT. It was first introduced when it was used in MS-DOS and Windows 3. As you can see, it was introduced a long time ago, and is not considered as modern as the other two. It is however the standard one used, though it is not really a default for many things anymore. It is usually a default for flash drives so it can be compatible with most game systems and other things with a USB port. This file can be good for USB Flash drives and things not being used with Windows, but it is not recommended for an internal hard drives. Due to how old the File Allocation Table 32 is, it does not have the same level of security and permissions that the other file systems do. The lack of security could be a serious problem. Despite these limitations, this file system can actually come in handy when you want to ensure that you will have a drive that will be compatible with almost anything. It can be used on a lot of game systems and devices. This file system, the Extended File Allocation Table, was introduced in 2006 to bring a modern version of the original FAT32 to devices. It has more modernized features that will work better with more modern devices and systems. It is actually used the most out of all three, though it is not as popular or talked about as the original FAT32. 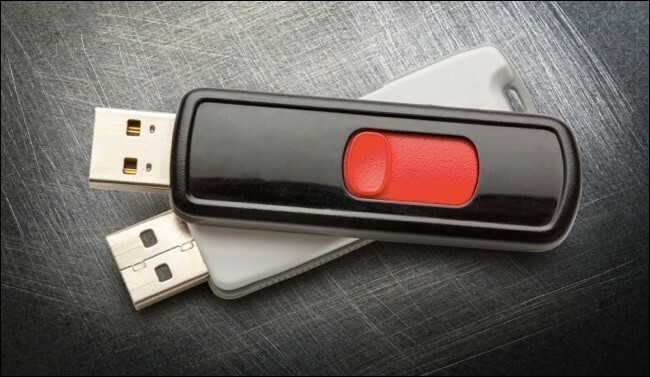 It is designed to work best with flash drives due to how “lightweight” it is. It does not have many features that are unneeded. See, it is not as compatible as FAT32, since it was made to work with more modern systems. The FAT32 can work with more systems because it can be used on older ones and game systems, it does not have as many limitations for compatibility. It is best used when you have files that are larger than FAT32’s limit of 4GB. It can be used for flash drives and even systems like the PS4 and XBOX One. The NT File System is the most modern out of all three of the file systems available. 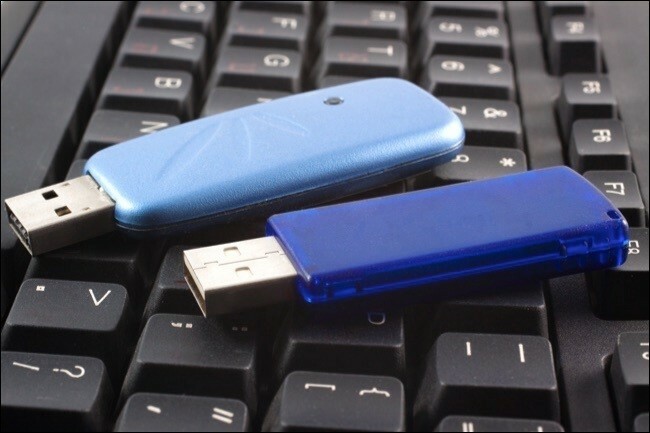 It is the second most common, behind the exFAT, and is used by Windows and most flash drives. I am sure if you check your Windows computer you will see that the default file system being used is NTFS. The NTFS has an incredible amount of storage and it is essentially limitless. No, it is not limitless, but I mean it is in the sense that the file size restrictions and storage are so massive it is incredibly hard to actually reach them. It is very helpful since you can store so many files and not have to worry about the sizes as much. The first time the NTFS was used was Windows NT, but it also appeared in the consumer versions of Windows computers that had Windows XP. Now it is used as the default for almost all Windows products. So, if you plan on adding another external hard drive to your Windows computer, I would suggest making sure that the external hard drive is also using NTFS, for compatibility reasons. Since it is the most modern of all three of the files, it has features that the other two do not have. Some of the features are; security file permissions, a journal that helps track the errors in your computer crashes, backup files, encryption so that others cannot steal your files, and a lot of other interesting features. They have help a lot when organizing your storage drives. There are some limitations with this file system and its compatibility. While it is a default for most Windows computers, it does not always work properly on other one. For Mac OS X, some Linux based things, and Microsoft’s XBOX 360, the NTFS files can only be read. XBOX One has fixed that and it can read and use the NTFS files, but not everything can be promised to work. Well, I hope I was able to condense all of that information in a easy to understand way. I wanted the basic information to be there in case anybody desperately wanted to know. Now when you organize and format your external or internal hard drives you can understand what you are doing. Knowing what the three file systems do is important to make sure that you are choosing the best one for your system. The file systems are so important and are used in every storage system, though some are used more than others. They all do their part in organizing the files and keeping them safe. Each one, old and new, has done what is needed. The most modern, however, is NTFS, and it is starting to be used more and more. Maybe one day it will be used more than exFAT; the most popular out of all three. Both exFAT and NTFS are defaults for systems and storage systems. If this was not enough then I wish you luck on your journey of learning more about file systems, partitions, and how to format your own storage devices. It can be quite interesting to learn about. There is a lot of information and it is a lot to handle all at once for some, though.